Last night I received the sad news that my Mom had to have our dog put down yesterday. The vet originally thought that he was just a bit run down, but when he was taken back yesterday the tell-tale signs of cancer in the stomach region were evident, leaving Mom with no real alternative. I'll never forget that day nearly nine years ago when we brought home this little orange bundle of fluff with his little black tongue. Yet despite all the warnings from well-meaning friends about how chows tend to get stroppy as they get older, our Kaito was the most benevolent creature one could imagine. 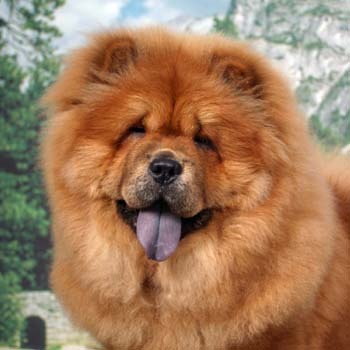 A great watchdog, too - when a chow barks, you get up to investigate, since this breed NEVER barks for no good reason. I unfortunately haven't seen too much of him during the past two years I've been in ministry, since he's remained in Joburg while I've been gallavanting around the country at the behest of the MCSA, but in that time Kaito and Mom were absolutely devoted to each other.